The Caribbean Community Climate Change Centre (CCCCC) has received grant funding under financing from the European Union (EU) under contract No. FED/2011/267-392 for the implementation of an action entitled: Support to the Global Climate Change Alliance (GCCA) under the 10th EDF Intra–African Caribbean Pacific Financial Framework in the Caribbean. The CCCCC intends to utilize part of the proceeds from this grant to award contracts for the Supply and Installation of One (1) Photovoltaic System at the Kalinago Carib Reserve Community in DOMINICA. Deadline for submission of tenders is at 2:00 p.m. April 30, 2015, Belize time. Any tender received after this deadline will not be considered. 5 February 2015: The Caribbean Centre for Renewable Energy and Energy Efficiency (CCREEE) and the Caribbean region's sustainable energy strategies were at the center stage at two Special Meetings of the Council for Trade and Economic Development (COTED) of the Caribbean Community (CARICOM). The ministerial meetings on energy and the environment focused on the establishment of the CCREEE, regional energy coordination and sustainable energy strategies, and the post-2015 development agenda, among other themes. The establishment of the CCREEE, which was endorsed by COTED in November 2014, was on the agenda of the Special Meetings on Energy, and Energy and the Environment, held in Georgetown, Guyana, from 4-5 February. The meetings, among other things, explored “the full ramifications and optimum exploitations of CCREEE.” CCREEE is currently in the process of being established with the assistance of the UN Industrial Development Organisation (UNIDO), Austrian Government and SIDS DOCK initiative of the Alliance of Small Island States (AOSIS). The Centre's mandate will be technical, namely to support and coordinate the execution of CARICOM's sub-regional and regional renewable energy and energy efficiency programmes, projects and activities. Calling for a “cohesive regional effort” to achieve sustainable energy security, Chair of the Special Meeting on Energy, and Minister of Science, Technology, Energy and Mining of Jamaica Phillip Paulwell said that “although sustainable energy solutions have made great strides” in the CARICOM region, significant gaps and barriers remained in the areas of renewable energy access, energy efficiency and reliable grid development and deployment. Sir Richard Branson told Cayman Islands students they need to lobby their government to go green. He said the island could save money and be “carbon neutral” within six years if leaders committed to clean energy. Speaking at a forum for students at Camana Bay on Friday, Sir Richard sounded a dire warning for the world’s coral reefs, saying it may already be too late to save marine ecosystems from the impact of global warming. But he said more could be done to move toward clean energy and lessen the impact of carbon emissions on the environment. And he said young people would need to lead the campaign for more environmentally friendly policies from their governments. “If a group of you, just the people here, put placards above your head and went to the government, you’ve got a force to be reckoned with,” he said. 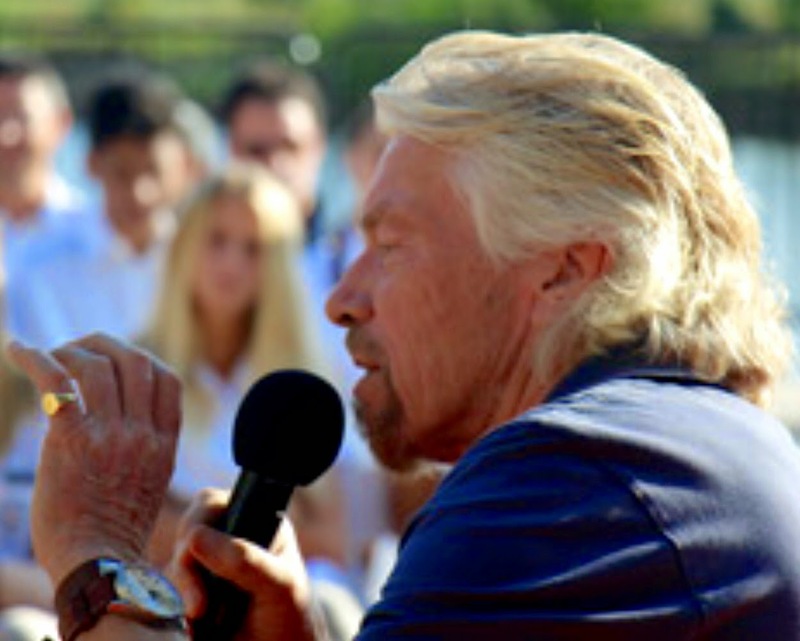 Sir Richard acknowledged it is difficult to get governments to think beyond the short term. But he said he is optimistic that international leaders would put the necessary policies in place to achieve total clean energy across the globe within the next 50 years. The billionaire businessman, who owns his own Caribbean island powered completely from renewable sources, believes the energy revolution can start in the region. He has launched a “10-island challenge,” starting in Aruba, to assist small islands in moving toward 100 percent renewable energy. “It would be great if we could get the Cayman Islands to join and make it the 11-island challenge,” he said. Sir Richard believes the Caribbean can be a hot house of innovation in the clean energy sector, and he told the students there would be many opportunities for scientists and entrepreneurs to tackle the world’s problems. Twenty-six countries, together with seven regional and international organizations, have released a joint statement in support of the transformation of the energy systems of Caribbean countries. The signatories of the statement, signed during the Caribbean Energy Security Summit, commit to pursuing comprehensive approaches to an energy transition toward “clean sustainable energy for all” and reforms that support the creation of favourable policy and regulatory environments for sustainable energy. The Summit, which was co-hosted by the US Department of State, the Council of the Americas and the Atlantic Council, brought together finance and private sector leaders from the US and the Caribbean, and representatives of the international community. The event showcased the initiatives under the Caribbean Energy Security Initiative (CESI) in the areas of improved governance, access to finance and donor coordination, and featured discussions by partner countries on comprehensive energy diversification strategies.